SELLER WILL NOT COMPLETE ANY REPAIRS TO THE SUBJECT PROPERTY, EITHER LENDER OR BUYER REQUESTED. 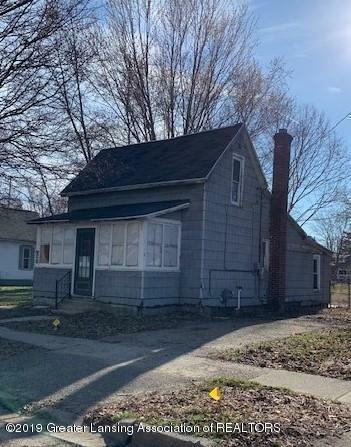 THE PROPERTY IS SOLD IN AS IS CONDITION.This property is located in City of Owosso, 2 bedrooms, 1 bath, enclosed porch, walkup attic. HomeSteps Buy-A-Home Initiative available for owner occupied buyers ~ earn up to 3% buyer closing costs ~ see terms and conditions attached. This property is eligible under the Freddie Mac First Look Initiative through 1/28/19.Owner occupied offers will only be considered during this time. See agent remarks. PLEASE SUBMIT A COMPLETED OFFER SUBMISSION CHECKLIST (ATTACHED)W/OFFER. Sold as-is.NO OFFERS CONTINGENT ON SALE OF ANOTHER PROPERTY.NO DISCLOSURES. Seller will pay for owner's policy of title insurance w/standard exceptions. Offers subject to bank addendum. IDX provided courtesy of Realcomp II Ltd., via Tony R. Schmidt Realty, Inc and Greater Lansing AOR MLS, ©2019 Realcomp II Ltd. Shareholders. Copyright 2019 Realcomp II Ltd. Shareholders. Real estate listings held by brokerages other than The Toth Team - Keller Williams Ann Arbor Market Center are marked with the Realcomp-approved IDX logo and are provided through IDX through Realcomp II Ltd. IDX information is provided exclusively for the consumers' personal, non-commercial use and may not be used for any purpose other than to identify prospective properties consumers may be interested in purchasing. Any use of search facilities of data on the site, other than by a consumer looking to purchase real estate, is prohibited. The accuracy of all information, regardless of source, is not guaranteed or warranted. All information should be independently verified. Data last updated: 2019-04-24T18:56:46.687.